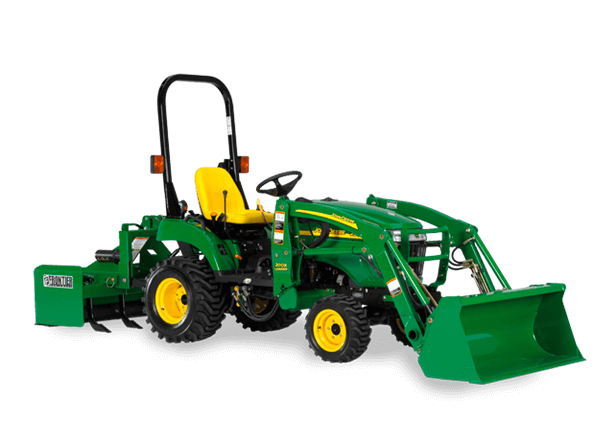 When it comes to exceeding expectations, the John Deere 2305 is an overachiever in its class. Four-wheel drive, mid- and rear-PTOs and a three-point hitch are all standard. Comforts include adjustable seats, effortless two-pedalhydrostatic transmission, color-coded controls and 2.5-inch thick rubber engine isolators that tone down engine noise and vibration. So take alook at what a 2305 can do for you. You'll be amazed at how much tractor you get.